Peter Schiff on how to take advantage of the recent U.S. Dollar strength. 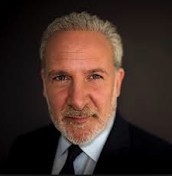 Peter Schiff is an American businessman, investment broker and financial commentator. Schiff is the CEO and chief global strategist of Euro Pacific Capital Inc.
Gold: Have We Seen The Low For This Cycle? Is Yellen Going To Raise Rates?